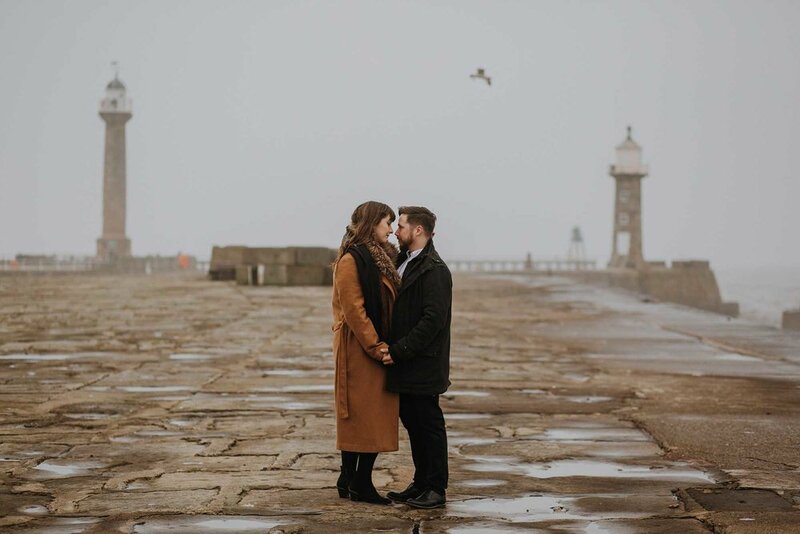 I love it when couple's come up with adventurous ideas for their engagement sessions, so when Luke & Sarah asked if I'd mind travelling up to Whitby with them for their engagement photographs I jumped at the chance! We spent the road-trip up to Yorkshire eating plenty of snacks & talking lots about games, music, films, anime & the odd medieval festival. 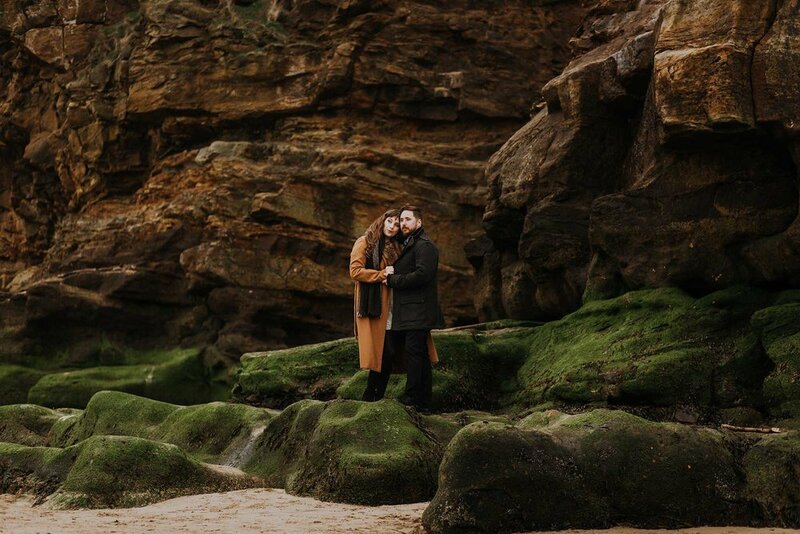 I got to know these two pretty well during our travels which is all part of having engagement photos - getting to know me so we don't feel like strangers on your wedding day! Whitby is somewhere very special to Sarah & Luke. Luke proposed to Sarah on the beach between the two piers and it was really lovely to be able to photograph these two in the same spot. It also meant that because these two know the town well, they were able to take me to the best pie shop in town which I greatly appreciated! We also got to see some pretty amazing sights such as some amazing view points over Whitby and the breath-taking Whitby Abbey. Whitby is known for its rich history & Gothic vibes. 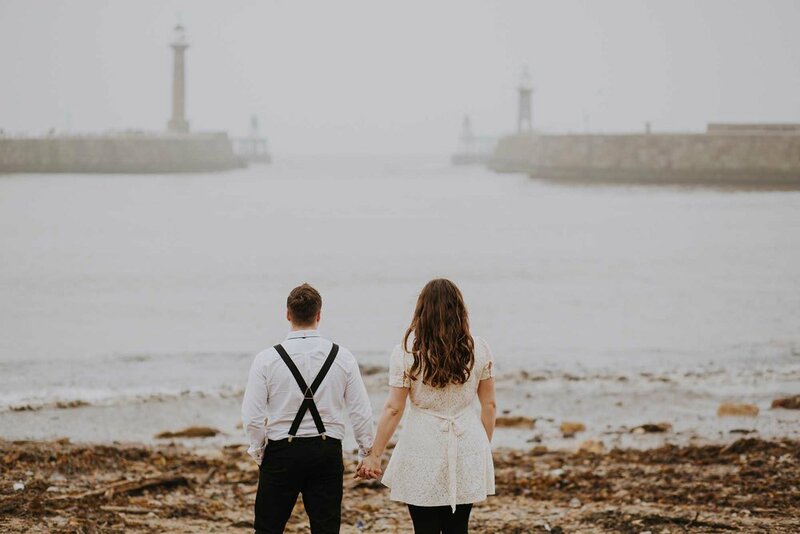 Some may say the weather wasn't great the day of Sarah & Luke's engagement session, but I'm much more excited by grey skies and sea mist when it comes to engagement photos than sunshine! 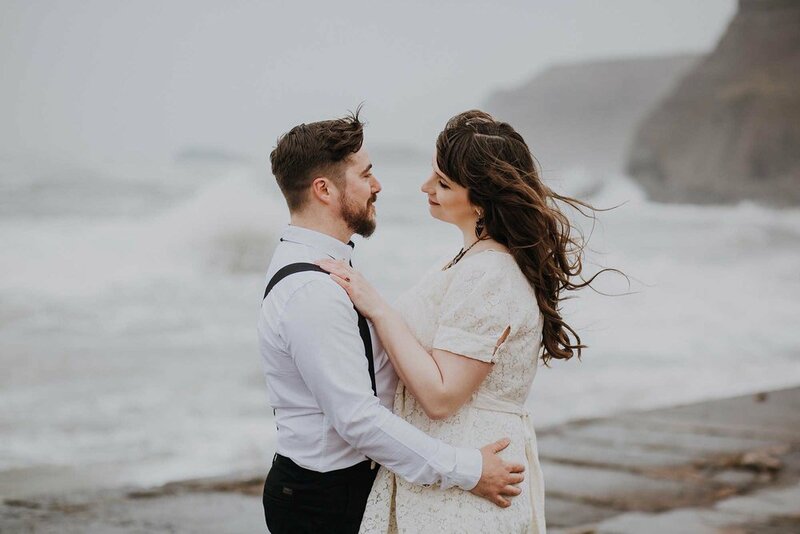 The weather meant for some really atmospheric photographs that capture the essence of the town and of course, Sarah & Luke's love for each other. I came home with tired feet, a bottle of mead and some exciting photographs to share with you - the signs of a brilliant day! "The photographs are so wonderful! you have captured something truly special, we will cherish these images forever thank you so much." - Sarah & Luke. 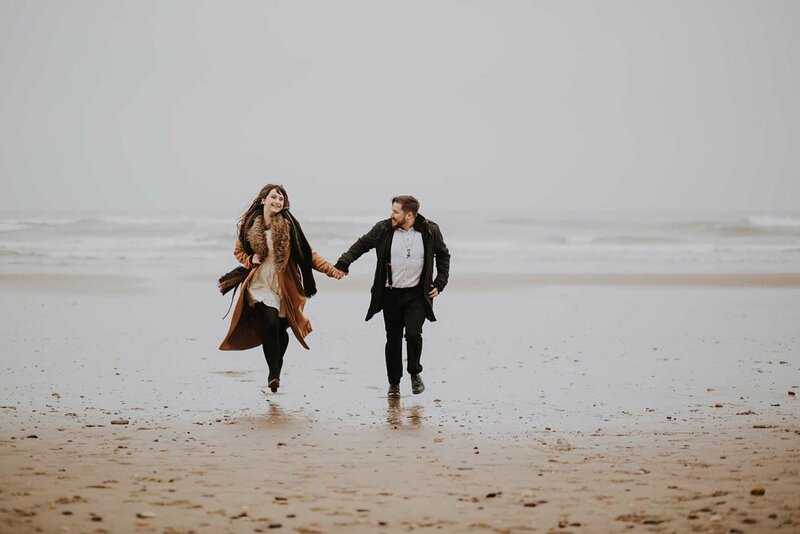 Get in touch to book your engagement session or couple's session (you don't have to be getting hitched!) and we can start planning your own magical photos!